S.O.S. - Manafort Down! Manafort Down! Paul Manafort is sinking. The FBI is indicting! The tip of the Trump inner circle is tipping, and who knows where it will crumble and crash. Paul Manafort is being called "sketchy" on CNN and all kind of things. How does a man who has reportedly spied get hired into a future President's inner circle? 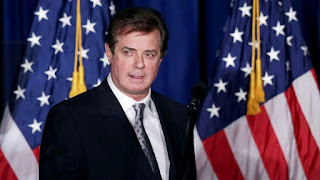 Manafort is an American Lawyer, lobbyist, and political consultant who joined Trump's team in June 2016 as the Campaign Manager, and only lasted until the end of August. Reports are that Manafort was being investigated prior to his working with the Trump Team, and after, and that he was also wire tapped. Trump may state he has case on Twitter now which proves that he was right when he stated he was wire tapped. However, that will not quite be the truth. It was only Manafort being tapped. However, Manafort having a place in Trump Tower is not a fault of the investigation, and so it goes to wondeer, if Trump may have been recorded himself in such recordings. So, how long has the Trump team known what Manafort was up to, and what he was doing? As Mueller begins to pursue, subpoena, and now indite actors in the Trump/Russia Scandal, it begins to leave doubt in Trump's claim that he's done nothing wrong, and wasn't involved. It seems that multiple obstruction of justice charges are going to be coming his way at the least, which may not get him jail, but should be enough to impeach. 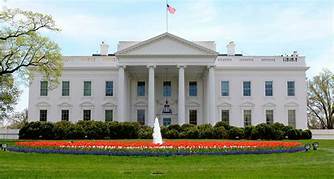 This scandal has embarrassed the history of the White House, and our position of Presidency, and caused America to be looked at by our allies as a laughing stock. Now, Trump's lawyers are caught talking out loud about the Russian Probe in a public restaurant, possibly opening up documentation to the prosecution Trump may want protected. Now, the American political system seems to be in shambles. Both major parties are divided among it's highest members, an Independent Socialist is forcing legislation and bills, turmoil disrupts the White House daily, Campaign Managers are being shamed and now indicted. Journalism that is putting this all out in the open is being warred upon by our President, Hurricanes are battering America and the islands without end, health care seems to be more of a joke to Congress, than a serious condition of the American public, and "Dreamers" are being threatened to be denied existence in the only place they can survive. This blemish which Paul Manafort, and possibly others have wrought upon Americans is coming to fruition, and it's just beginning to rear it's ugly head at us. This will be just the beginning of a hail storm from Investigator Mueller. Where it all ends for Trump is still actually up in the air, believe it, or not. Unfortunately, we can all only imagine now what a Clinton or Sanders WH might have looked like. I would take a good guess that most Americans would trade the historical mockery we are observing, for that story. I miss the brevity and honor Obama and Bush brought to the WH. They were respectable men, as were most of our past Presidents. Trump is the reflection of America now, though. As the hurricanes continue to tragically barrel through the Caribbean, the investigation continues to barrel ahead, and the devastation of its' path may be as harmful to America as as CAT 5 storm.